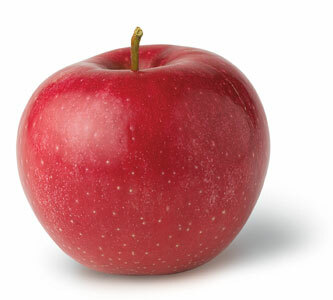 The Environmental Working Group (EWG) released a new version of its well-known Shopper’s Guide to Pesticides in Produce last week, with a new “worst of the Dirty Dozen” 1) apples, 2) celery and 3) strawberries. In a discussion that might remind one of the “should I eat local or organic” dichotomy the media is fond of, the LA Times posed this question: should you fill your plate with half fruit and vegetables (as MyPlate, the new alternative to the food pyramid, recommends) or avoid fruits and vegetables that are known to be pesticide laden. While the added cost of organic produce is not an option for everyone, it’s worth noting that there are many creative ways to do both. Meanwhile, Tom Philpott echoed and expanded on a CUESA article from a few years ago that takes the discussion beyond consumer exposure and explores the impact pesticides have on farmworker communities and the environment. See: Is the “Clean 15” Just as Toxic as the “Dirty Dozen”? For the moment, however, it looks like AquaBounty’s plan is foiled. Last week, in a surprising move, a group of US Senators (including Don Young from Alaska, the state that is home to a billion-dollar wild salmon industry) essentially blocked the FDA from approving genetically engineered salmon. As a bill that would ban the sale, distribution, and possession of shark fins moves through the California state legislature, the Washington Post ran this article, which looks at the big picture of shark finning: Distaste widening for shark’s fin soup. 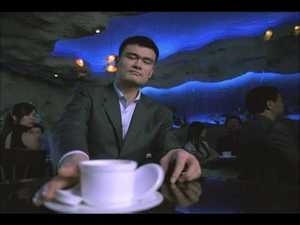 If you haven’t seen it yet, take a look at this anti-shark fin soup PSA (see image above), featuring the NBA player, Yao Ming. The recent outbreak of E. coli in Germany had a large, very unfortunate down side (to the tune of over 3,500 infections, 800 cases of kidney failure, and 39 deaths so far). The fact that the strain in question (E. coli O104) is resistant to more than a dozen antibiotics in eight classes (read “The reason why this deadly E. coli makes doctors shudder” for more) has, however, brought renewed attention to the routine use of antibiotics in animal agriculture, a major known cause of this kind of resistance. 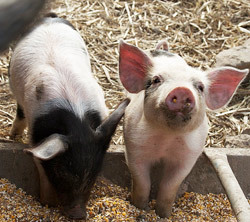 In a coordinated effort to control the public’s window into the world of confined animal feeding operations (CAFOs), the meat industry has worked on a state level this spring to roll out a series of bills that would outlaw photography on factory farms. The “ag gag” bills have appeared in multiple agriculture-heavy states, including New York, Florida, and Minnesota, but Iowa appears to be where the action is. Read What Does Agribusiness Have to Hide in Iowa? for more. Subsidized Crop Insurance: The Next Ag Boondoggle? Will new federal crop insurance rules let industrial farms off the hook on conservation?